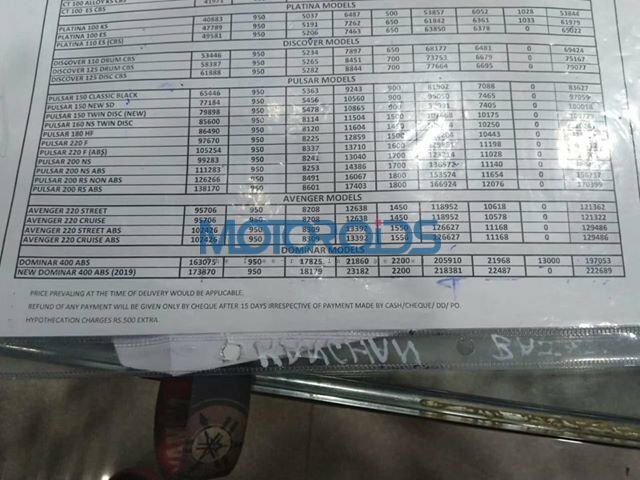 Update: A new price list leaked by Motoroids has confirmed the reported pricing of the 2019 Bajaj Dominar 400. The on-road price, as seen in the leaked list, stands at INR 2,22,689. 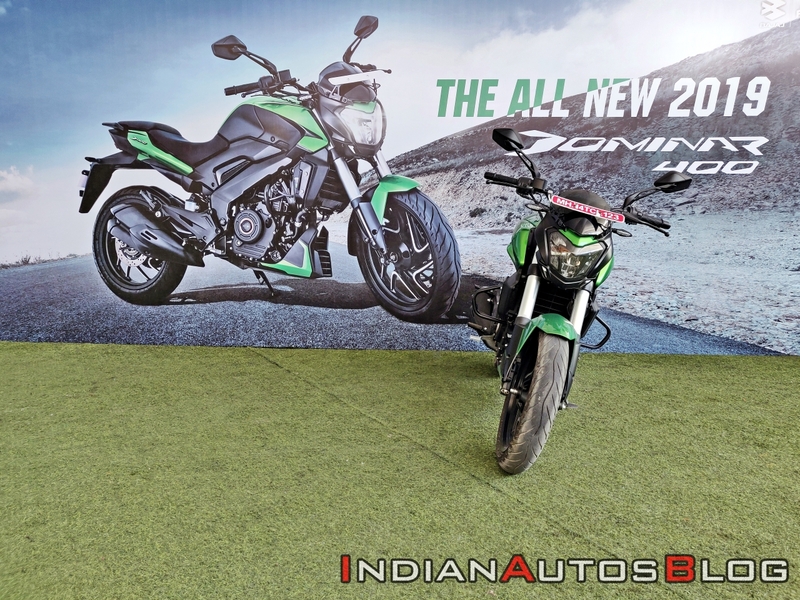 The 2019 Bajaj Dominar 400 benefits from premium hardware and higher performance numbers as compared to its predecessor. The 2019 model comes with a DOHC engine that makes 5 PS more power. While we await an announcement from Bajaj, motoring portal Thrustzone reports that the 2019 Dominar 400 has been launched in India at an ex-showroom price tag of INR 1,73,870. The reported price is INR 10,795 more than its predecessor that was sold for INR 1,63,075 – both ex-showroom Delhi prices. The on-road price, as mentioned in the leaked list, stands at INR 2,22,689. 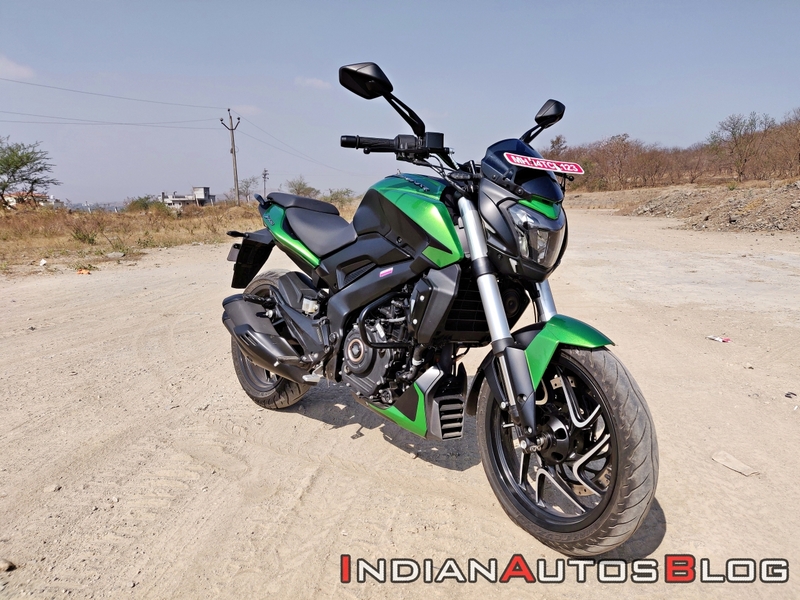 2019 Bajaj Dominar 400 has been reportedly launched at an ex-showroom price tag of INR 1,73,870, which is INR 10,795 more than its predecessor. The 2019 Dominar 400 comes with several visual and mechanical upgrades. A price increase of INR 10,000 is commendable given the premium features that the flagship Bajaj motorcycle receives in its first upgrade. The revised hardware includes upside-down telescopic forks instead of conventional units. The rear continues to have an adjustable monoshock suspension. The 2019 Dominar 400 continues to feature full LED lighting although Bajaj has revised the internals of the headlight and the taillamp for better performance. The updates continue to the cockpit, and the revised instrument console now features two screens. The primary screen shows ride related information such as tachometer, speedometer, fuel gauge and a DOT matrix display while the fuel tank mounted display features gear position indicator, odometer and clock. The engine has received upgrades too, and the 2019 Dominar 400 is tuned for better performance. The 2019 iteration continues to use a 373.2 cc, single-cylinder, liquid-cooled motor with three spark plugs although it now comes with a dual overhead camshaft. The bike also benefits from a remapped ECU that has pushed the performance up by 5 PS. The maximum power is now rated at 40 PS at 8,650 rpm. The peak torque, on the other hand, remains unchanged at 35 Nm. Braking department has received a revision too, and the 2019 model comes with a radially mounted calliper at the front. The disc sizes remain unchanged at 320 mm and 230 mm. The safety net, unlike the rest of the Bajaj line-up, includes a dual-channel ABS. The 2019 Bajaj Dominar 400 benefits from premium hardware and higher performance numbers as compared to its predecessor. The 2019 model comes with a DOHC engine that makes 5 PS more power. The motorcycle competes against the likes of TVS Apache RR310, BMW G 310 R, Honda CB300R and its Austrian cousin, the KTM 390 Duke. However, all rivals retail above the INR 2 lakh mark, making the Bajaj Dominar 400 the most value-for-money motorcycle in the segment.